How to account for the purchase of an asset in Quipu? When accounting for an asset, Quipu will treat differently the IVA from the amount to offset as an expense. Learn how to input its invoice and depreciations. Firstly introduce the invoice as you would with any normal expense. 4. 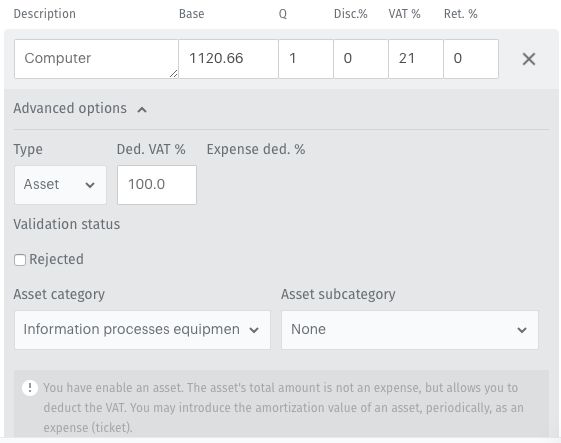 Under Asset category, select the type of asset. Once the invoice has been accounted for, let us discuss how Quipu will deal with the IVA and tax. Quipu will ask the percentage of deductible IVA. This will be 100% in most cases. However in case of an asset that is being given both business and personal use, like a car, for instance, the amount will vary. The amount of deductible IVA will be immediately offset. Quipu reminds you that the asset’s total amount is not an expense. The value of the assets is offset along the utility life of the item as it depreciates. 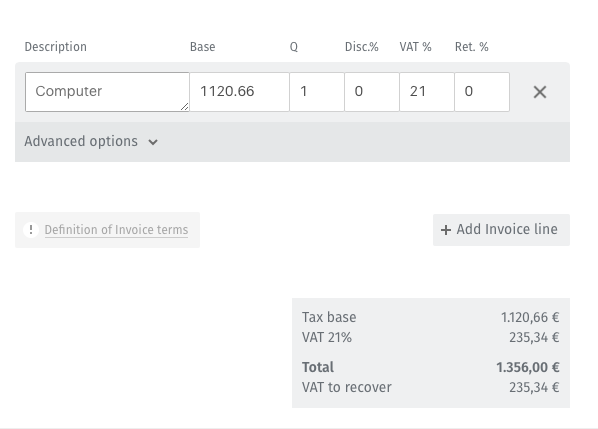 You may introduce the depreciations ( amortisation) value as an periodical expense using the Tickets input. 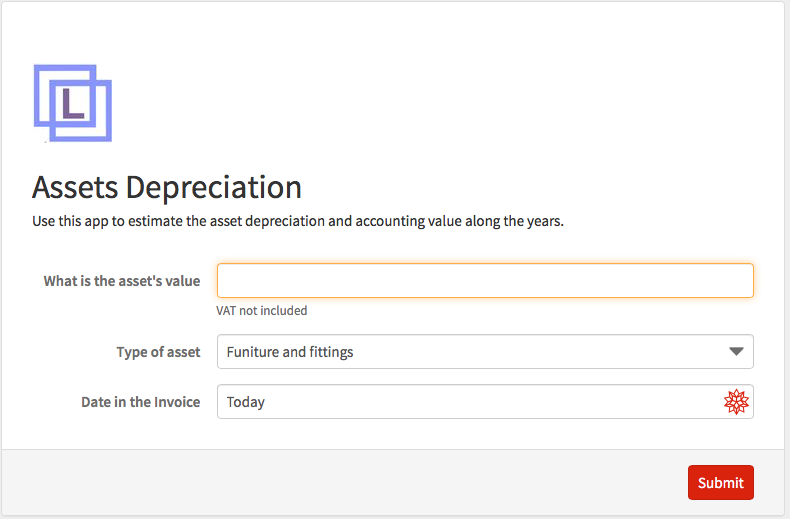 Work out easily the depreciation of your assets using our Web App: Asset Depreciation. In Quipu, introduce a Ticket with the value of the depreciation. 2. 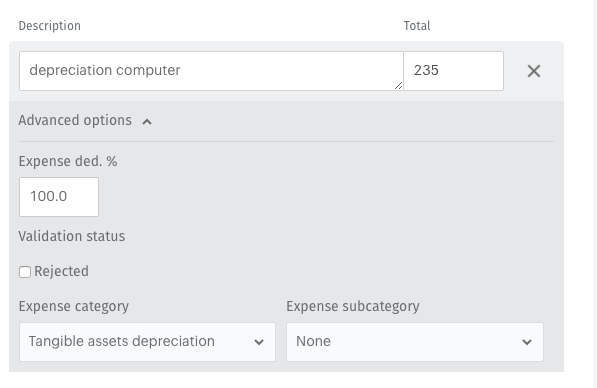 Display ‘Advanced options ‘ and indicate the ‘Expense category’. 3. Before finishing, program the recurring ticket. How often the depreciation should be input?. You can program the ticket for the depreciation quarterly or annually. It is often more beneficial to do it quarterly.